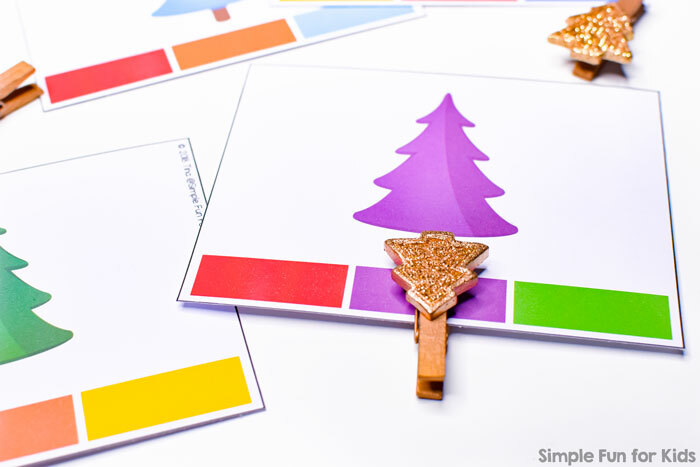 Today, I have a cute set of Christmas Tree Color Matching Clip Cards for you! One or two sheets of (heavy) paper. Clothespins, paperclips, manipulatives, or a marker. 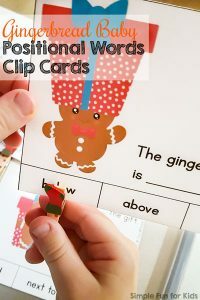 The file includes two pages of four color matching clip cards each. 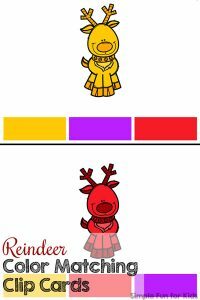 I’ve chosen the following colors: red, dark blue, orange, light green, yellow, dark green, light blue, and purple. 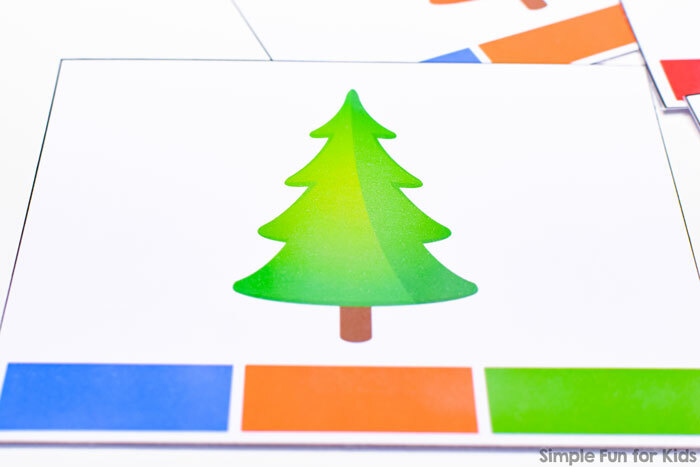 At the bottom of each card are three swatches of different colors, one of them matching the color of the Christmas tree. Print one or both pages and cut apart the clip cards at the black lines. 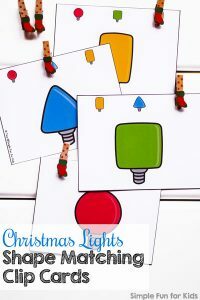 Mark the matching color on each card with clothespins, paperclips, manipulatives, a marker, or simply point to the match. 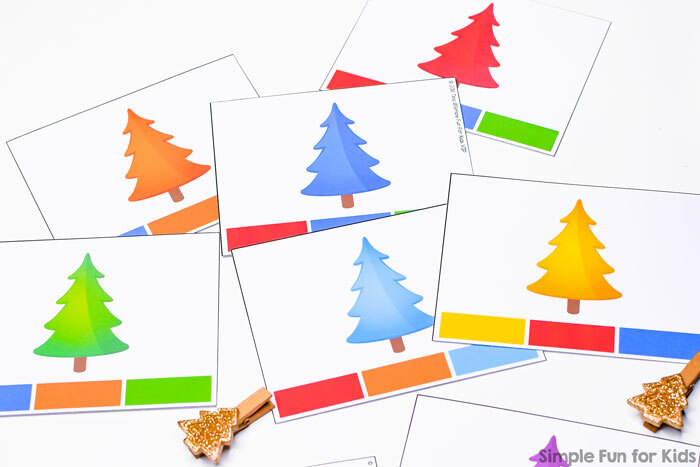 Download your Christmas Tree Color Matching Clip Cards! 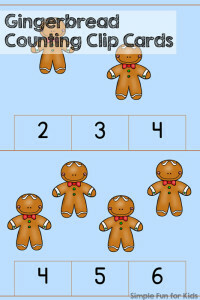 My Christmas Tree 2-Piece Puzzles use the same set. 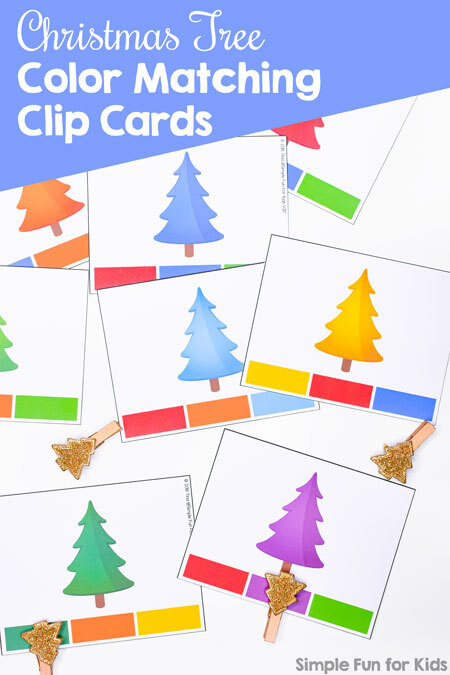 Are you looking for more Christmas clip cards? Check out these!